Tag line: "They were searching for proof... they found it"
The box-office success of 1999’s The Blair Witch Project and, more recently, the Paranormal Activity franchise paved the way for a new genre of horror movies, commonly referred to as “found footage”, films shot primarily on video that, by all appearances, are based in reality (they aren't, of course). The problem is, most of the found footage movies I’ve seen, especially those centering on the supernatural, follow the same formula, and what’s more, the scares aren’t particularly effective. 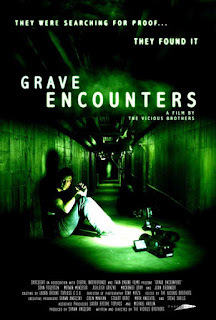 For at least half its running time, 2011’s Grave Encounters struck me as yet another disappointment, when suddenly, out of the blue, it kicked the horror into high gear. As someone who’s typically frightened of ghost stories, Grave Encounters managed to hook me, and then skillfully reel me in. Lance Preston (Sean Rogerson) is the host of Grave Encounters, a reality-based ghost-hunting television show, and he and his crew are shooting their next episode inside the long-abandoned Collingwood Psychiatric Hospital, to explore and, if possible, expose the unexplained phenomena that’s allegedly plagued the location for years. To this end, Lance and his associates agree to lock themselves inside the building for an entire night, setting up cameras all around the facility in the hopes of capturing a paranormal event. Whether or not they actually find anything isn’t really important; for Lance, it’s all about putting on a good show. But as he’ll soon discover, the stories about Collingwood aren’t mere legends, and the spirits who haunt its halls are very, very real. From that moment on, Grave Encounters is no longer the “same old thing”, giving us a final act that’s undeniably fascinating and pretty damned creepy. 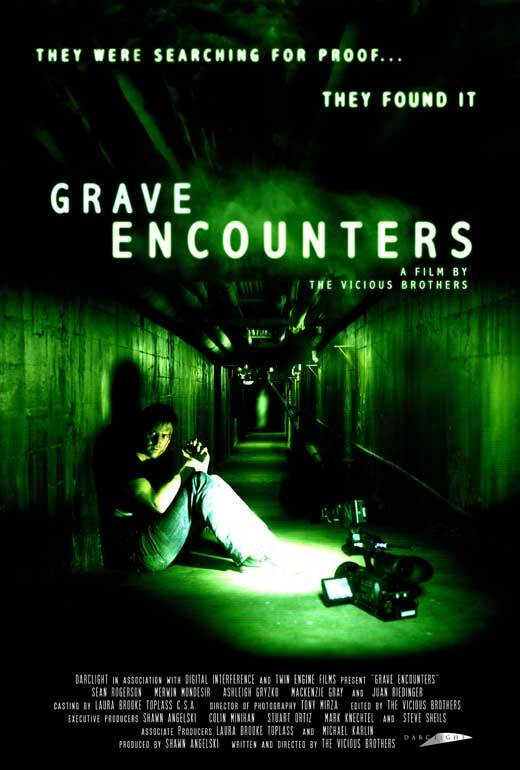 If you’re a fan of the supernatural, Grave Encounters is one you won’t want to miss. Well, the second half of it, anyway.